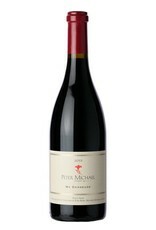 Aromas of smoked meat, dried roses, hot stones, and hints of dried fruit. Full body, dense and silky textured tannins. Flavorful and powerful. Yet not overdone. Need two to three years to open and give its pure beauty. But fantastic to drink now. The 2013 Pinot Noir Ma Danseuse is absolutely remarkable, a truly profound Pinot Noir and one of the great Pinot Noirs I have tasted from anywhere. This wine is a California version of La Tache. With beautiful forest floor notes, black raspberries, blackcurrants, black cherries, some spring flowers, a full-bodied mouthfeel, gorgeous acidity and purity, and a stunningly long finish, this is an amazing wine. The good news is that they produced 1,580 cases of this wine which can be drunk over the next 10-15 years.